This weekend Lara and Holly invited a friend around to take part in an Easter egg hunt to celebrate the start of the Easter holidays. 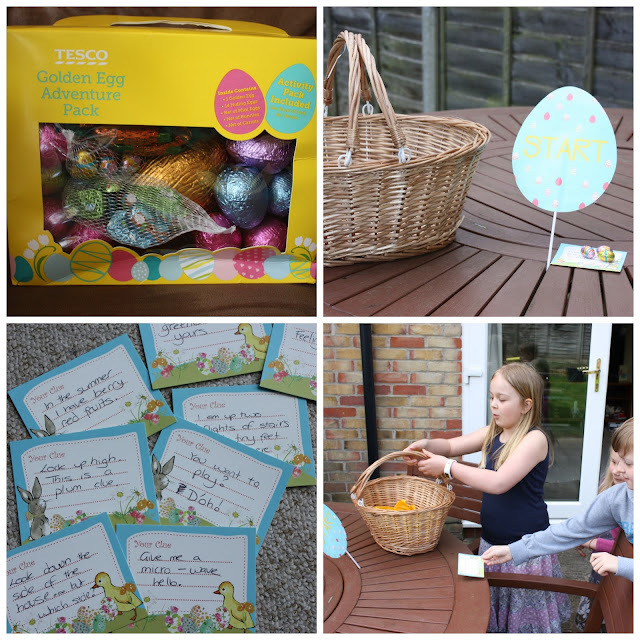 Tesco sent us everything we needed to host our own egg hunt from Easter signs to a bumper pack of chocolate eggs, from fluffy chicks to a set of treasure hunt clue cards - I had everything I needed to create a team-building trek around our house and garden in search of eggs, rabbits and chicks. Tesco is holding FREE Easter egg hunts on Saturday 8th April and Sunday 9th April in stores up and down the country; there are lots of Easter prizes to be won. To find out which store near you is participating, take a look at their Events Page. Alongside our Easter hunt we've been preparing lots of half-term activities on an Easter theme so that the girls can get into the mood. Inside our Tesco Easter hamper we had lots of Easter craft activities from their Go Create range including Easter cards, Rabbit masks, stickers, pom poms, pipe cleaners, markers and lots of spring animal characters perfect for creating your own Easter bonnet. We're preparing for a nice family weekend for Easter with lots of treats but also a traditional lamb roast and, if the weather is kind to us, a barbecue. 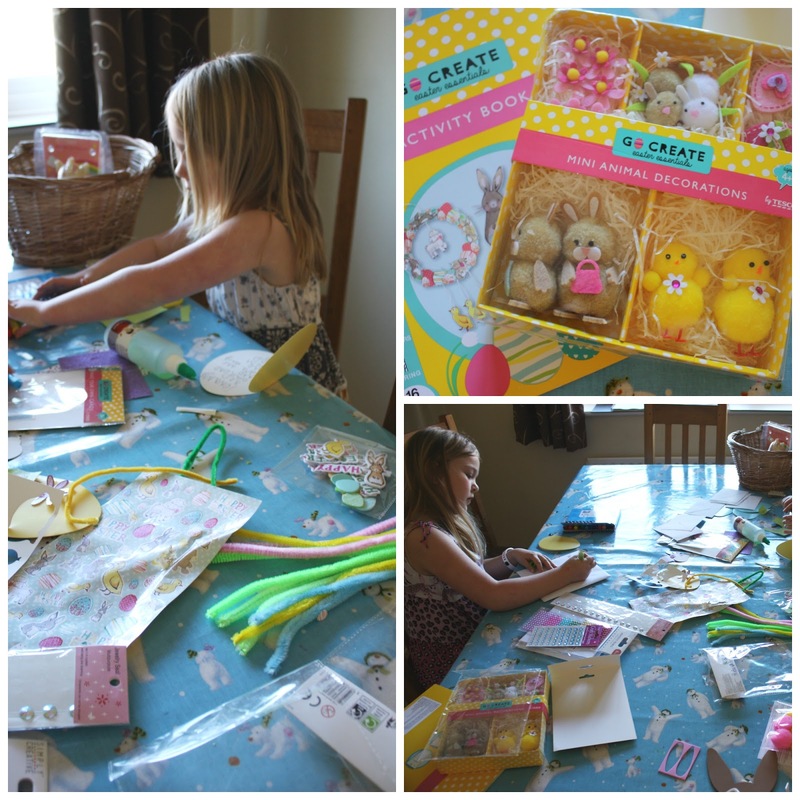 The girls' favourite treat from the Tesco range was a simple gingerbread decorating kit where you get to decorate your own gingerbread Easter egg cookie with icing and spinkles. Mr. B. and I were more taken with the traditional Italian Easter cake which tested extra special with a bottle of Italian Prosecco - what better way to start the Easter holidays? If you're looking for Easter inspiration for holiday activities, or Easter food and drink, take a look at the Easter events going on in your local Tesco. 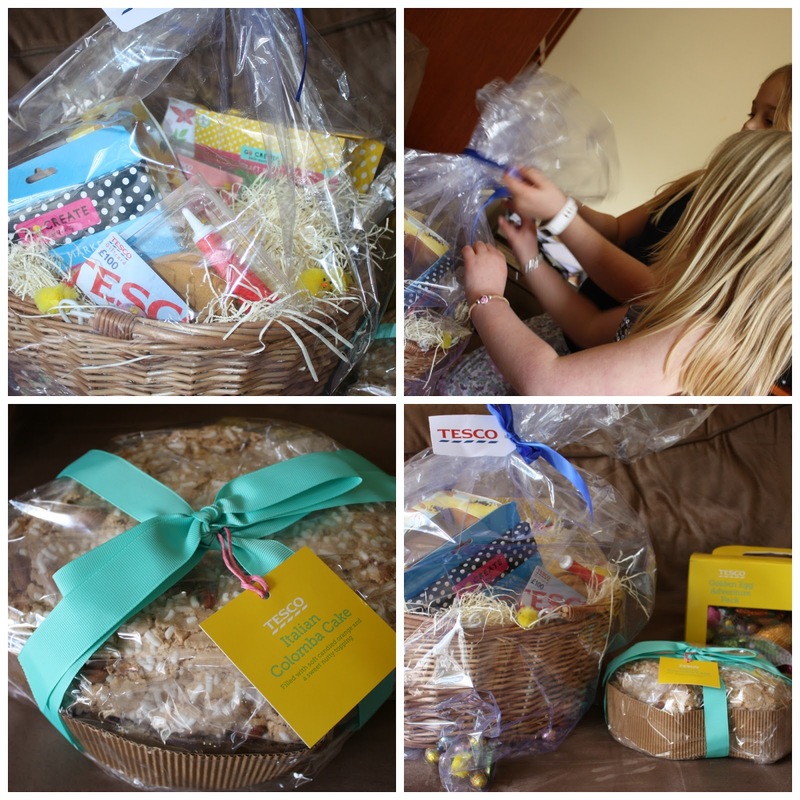 Disclosure: we were sent a hamper of Easter treats to create our Easter egg hunt and help us prepare a big Easter feast.